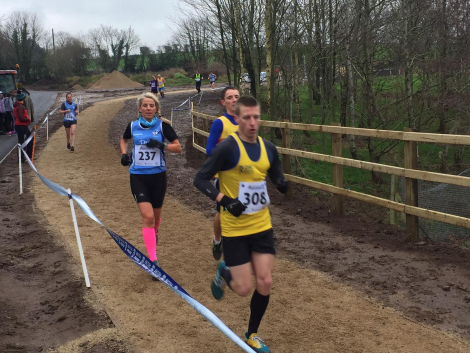 S’all about the flashmob, Gosford, XC and the parkrun over the jump! Yesterday, Monday, was supposed to be one of the most depressing days of the year. There was no sign of the January blues effecting our intrepid crew of Dubbers this week – with some magic performances at the various events. The missus told me she wanted to see The Monkees tribute band in Switzerland – then I saw her face, now I’m in Geneva. Right then, it’s roundup time! 3 John Close 00:18:13 3rd Place! 19 Claire Tontry 00:20:49 1st Place! 44 Catherine Baillie 00:22:10 3rd Place! New PB! 85 Maire McCaughey 00:23:25 New PB! 92 Ronan McCaughey 00:23:39 Newbie PB! 99 Judith McManus 00:23:49 Newbie PB! 109 Valerie Maguire 00:24:05 New PB! 136 Kathy Mayhew 00:24:51 New PB! 142 Julia Orr 00:25:12 New PB! 244 Brona Shaw 00:28:33 New PB! 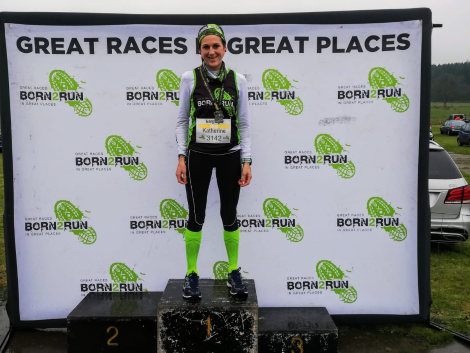 277 Lynn Donnelly 00:29:40 Newbie PB! 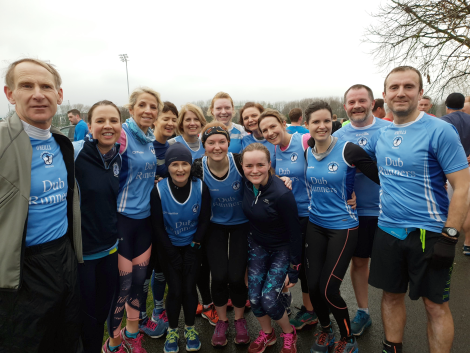 Outstanding – it was a joy to watch so many Dubs kitted up, pushing hard and enjoying themselves in the park. It might be a flashmob but we have some Dubs to celebrate nonetheless! Three Dubbers placed on the podium: Claire took the top step for the women, newbie John C took the final step for the men’s, while Catherine grabbed the final step of the women’s with both hands. We had five stunning new course PBs set by Catherine, Marie Mc, Val, Kathy and Brona. 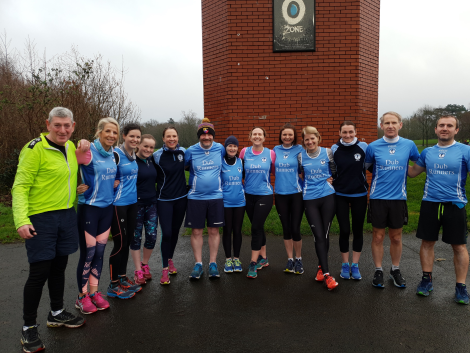 Some January tourism was the order of the day for Ronan Mc, Judith and Lynn as they all set newbie PBs on Saturday morning! For the second week in a row, newcomer Julia managed to smash her all-time 5k personal best time by swiping another 30 seconds off it this week! A few group photos in the slider below, check out the full gallery here. A reminder our next flashmob is on February 2nd at the first running of Stranmillis parkrun! Flashmob: 19 Dubs ready for the start! Flashmob: 19 Dub safely home and accounted for! Nice running Katherine – a last minute change of plans to the 5k didn’t effect your times at all! Great running in some lovely scenery, along trail paths – how else would you want to spend a Saturday morning?! 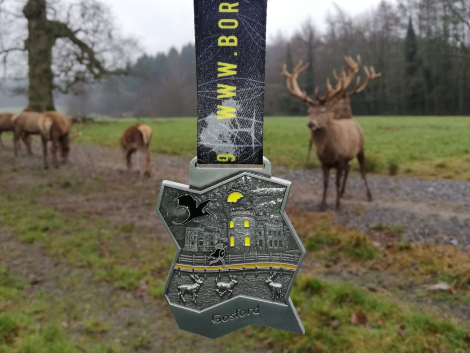 If you’d like to spend one of your Saturday’s like that, then the next race in the series is in Antrim Castle Gardens on February 2nd. Gosford: A relieved Katherine snaps the money shot! Oh Deer: The Gosford bling! Fantastic – three Dubs in the top 20, that sounds like a job well done to all of us here in Roundup Towers. A nice yet undeniably hellish course – impressive times posted by our tremendous trio! 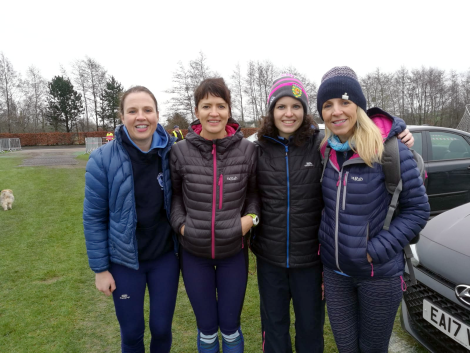 While the weather building up the day might not have been the best – thankfully the weather held out for the duration of the race, it is almost like we’re having a mild winter so far! Comber: Nessa, Val, Claire & Roisin look happy before the XC! 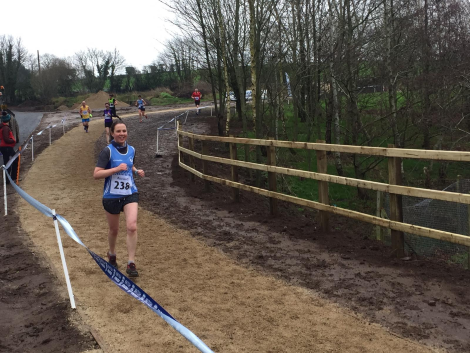 Comber: Roisin gives it her all in the mud! Comber: Nessa somehow manages a smile! Niall MCCRORY 00:20:11 Newbie PB! January Blues?! More like Dubs Rules! We stuck those blues in the bin this week – phew. These months are always about setting the foundation for the year ahead – and by the looks of things we’re in for a cracker 2019! I took my dog to the lake over the weekend and noticed he floats very well – he’s a good buoy.